A Reverse Mortgage can offer you so many wonderful benefits, but it's vital that you understand exactly how it works. You must understand the pros and cons to be sure this loan is right for you and matches your current needs. You'll find the education you need right here so you can make an informed decision. However, if you have any other questions or any concerns at all, please contact us and we will make sure you completely understand everything you need to know. We are here to help you. Please don't hesitate to call us at 1-844-255-6707 or email us. Basically, whatever your needs may be. Please... read over all the information we have provided for you on this website. And, if you have any questions at all, call us at 1-844-255-6707 or email us. We will get back to quickly. You must have sufficient equity in your home. If you have an existing mortgage, it must be paid off. 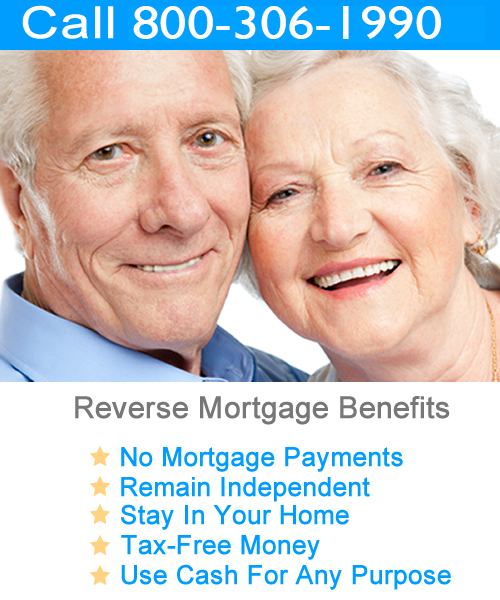 This can be done with the proceeds of the reverse mortgage, but it will reduce the amount of funds available to you. If you would like more information about the reverse mortgage process and how it can help you live out your retirement without the stress of financial burdens please call us at 800-306-1990 or send an email. Only certain % of equity is available as maximum loan amount. This is subject to FHA loan limit guidelines. The youngest homeowner is 62 years or older. The home is the primary residence. The home has sufficient equity. Home equity loans are often used by homeowners to consolidate debts. They put all of your debts into one convenient monthly payment with lower interest. But did you know that if you are a senior citizen, you can get a loan on your home that does not require monthly payments? This type of loan is called a reverse mortgage. It allows seniors to leverage the equity in their homes to pay off other debts, make home repairs, pay property taxes or health care costs, or do anything else with it they wish. No payment is due until the homeowner moves out, sells the home, or passes away. You must be at least 62 years of age. If there is more than one name on the title to the home, all parties must be 62 or older. If one of the co-owners is under the age of 62, that person’s name must be removed from the title before a reverse mortgage can be obtained. The home must be your primary residence. 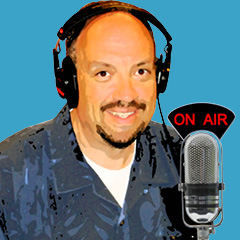 You cannot get a reverse mortgage on rental property or any other home you do not live in. This is because the balance of the loan is due once you no longer live in the home. Also, you must have enough equity in your home. The home in question must qualify. Most single-family homes and condominiums, one to four unit owner-occupied residences, and manufactured homes (built after June 1976) qualify. But some mobile homes and most cooperative housing do not. **Starting April 27, 2015, lenders will start conducting financial assessments of every reverse mortgage borrower to ensure he or she has the financial capacity to continue paying mandatory obligations, such as property taxes and homeowner's insurance, as stipulated in the Loan Agreement. Lenders will analyze all income sources -- including pensions, Social Security, IRAs and 401(k) plans -- as well as the person's credit history. They will look at how much money is left over after paying typical living expenses. You must pay your property taxes. Your home must be properly maintained. Necessary repairs must be made to ensure that the home retains its value. Just as with a traditional mortgage, you must keep your home insured. Homeowners insurance must be obtained to protect the lender’s interest in the home. If you declare bankruptcy, you could be found in default. You cannot abandon or donate your home to any person or organization. If the home is condemned, you will likely have to pay back the loan. Many contracts prohibit the owner from adding any new owners to the title of the home. 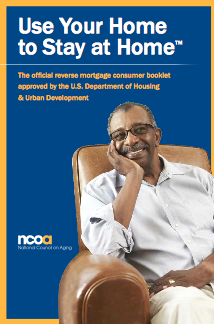 Most senior citizens age 62 or older who own their homes qualify for a reverse mortgage. As long as the home you wish to obtain a reverse mortgage on is your main residence and meets a few requirements, you can use it to get the money you need without incurring additional monthly payments. A mortgage originator can help you find the best reverse mortgage for your situation and get your finances where you want them to be. Please complete the form below so we can determine if you are eligible for a Reverse Mortgage Program and send you a No-Obligation Customized Rate Quote to see approximately how much you qualify for! All fields with a red star are required. If you prefer to give this information over the phone, you can reach the office during business hours by calling 800-306-1990. By supplying your email and phone, you are granting permission for me to communicate with you personally via Email or Phone. Don't worry! We Hate Spam and we will not rent or sell your information.